Graduation is a defining moment in one’s life. After four or more years of study, an individual receives a diploma as the emblem of proof documenting their accreditation and expertise in a particular subject. However, life after graduation can seem intimidating to many students. For a person’s entire life, school dictates their schedule, availability and overall freedom. After graduation, however, these responsibilities fall on the shoulders of the individual, as one must cultivate their own path toward success. First of all, tending to mental wellness after college is crucial. Whether taking a year off before continuing education or learning to properly de-stress after a long day at a new job, keeping a healthy mind is the most important factor for college graduates. However, graduates may still face the challenges of “post Commencement Stress Disorder (PCSD), a condition emerging from a diagnosis of symptoms affecting new graduates facing the task of choosing, changing or pursuing a career . . . amplified by the variety of different approaches to graduation and commencement that are evolving” (Luskin). Taking on the real world after college can be stressful, leading to anxiety in many graduates. However, following these steps can make the process much easier on newly graduated individuals. Individuals who are preparing for graduation need to determine their goals. For example, those looking to work immediately after college should attempt to line up a post-graduation job. Others might opt to continue their education and should prepare accordingly by applying, studying and relocating, if needed. Once an individual knows what his/her goals are, he/she must do everything within reach to attain them. Setting a prospective timeline is helpful, as it motivates newly graduated students to plan out their dreams, helping to achieve goals in a timely manner. Determining where to begin when entering a career field can be a trying task. Utilize websites such as Indeed, CareerBuilder, and Monster. Students should also take advantage of their university’s resources in order to discover a career. For example, Florida National University (FNU) students have access to the Job Placement Department, which is committed to assisting students and alumni with employability skills, guidance and resources, to find employment in their chosen career and respective specialized field of study. It is impossible to properly stress the importance of networking. When looking for open positions, individuals should accept any opportunity to attend job fairs and networking events. Whether meeting a helpful customer while at work or adding connections on LinkedIn, networking is crucial. One simple way to network is to utilize family and friends as resources. By informing friends and family that one is on the market for a specific job, they will likely remember to contact that individual with any applicable leads. Because hundreds of thousands of students across the nation complete their degrees in late spring, summer is a competitive season to apply for professional positions. There are a number of other young, aspiring professionals with equivalent degrees, experience and expertise. Although one must keep this in mind when preparing to enter the job market, individuals cannot allow this fact to discourage them during the application process. Not receiving calls for interview should fuel the fire, enabling graduates to strive for success. Keeping a positive attitude is key. It is difficult to craft a compelling résumé that stands out among the hundreds of other applicants. First of all, one must cater their résumé to the job listing for which they are applying. To build a perfect résumé, include key words found in the job listing, list only relevant previous experience and specifically detail important aspects of previous positions. Accomplished through resources such as LinkedIn, a website, a portfolio, and a personal blog, building a personal brand is the foundation to building an impressive, professional persona. Promoting one’s professional attributes via the internet can drive a more compelling bargain for hiring managers than a cover letter and résumé alone. Online resources can serve as a virtual portfolio, while also alluding to one’s internet savvy skills. Visit FNU’s LinkedIn account and Alumni Group to help you build your online portfolio. Now is the time to build up a savings. After breaking free from the busy schedule of college life and before the first student loan bill reaches the mailbox, individuals have 6 months to acquire and reserve funds. Since this 6 months time period will pass more quickly than most expect, it is crucial to begin saving immediately. Implementing a monthly budget is a great place to start. While new graduates enter their first jobs feeling fresh, prepared and knowledgeable, this presumptuous thinking can easily fade. Be prepared to feel “like a freshman again” (Baranowski). Entry-level professionals must learn to apply knowledge and skills, gain experience, acknowledge new practices and learn to be productive in a professional environment. Consequently, entry-level workers often feel as if they are just being introduced to their expertise, even with a degree in the subject. Finding a job and planning out life after graduating from college can be a difficult task. Individuals that struggle with planning, time management and self motivation might find themselves without defined goals after graduation. Luckily, our students and alumni can utilize our Job Placement Department if any trouble arises. Not only do we commit to helping our students to find a career, but we also prepare our students with an excellent education. Are you ready to access these resources before and after graduation? Apply to FNU today! Baranowsi, Holly. 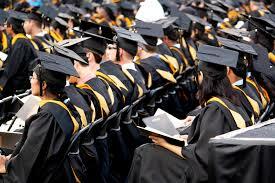 “Top 7 Myths About Life After Graduation.” The State News. The State News, 13 Mar. 2013. Web. 17 June 2014. Luskin, Bernard. “Managing PCSD – “Post Commencement Stress Disorder”.” Psychology Today. Psychology Today, 18 May 2012. Web. 17 June 2014. –Taking on the real world after graduation can seem to be a daunting task. Find out FNU’s advice on how to plan your post-graduation life.